spectacular radiance and dimension than imaginable! of any garish orange tone along with a blush and highlighter. you need to use a light hand when applying or you will need to wipe some off. In the photo going from left to right is the highlight, blush, and bronzer by my wrist. Here is where I swatched the Vitality Face Disc for you. 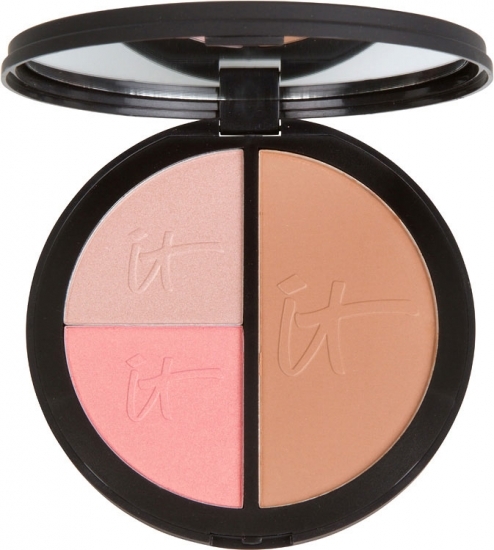 $38 for this Live, Love, Laugh Anti-Aging Vitality Face Disc compact. theshoppingchannel.com in Canada–and glow like the star you are!